It has now been three years since we visited New Zealand and yet it feels like we just got back yesterday, with all we experienced still very much present in our memories. During our month long road trip in New Zealand, we spent three weeks in the South Island and fell in love with it. By reading through this article, you’ll understand why. The South Island of New Zealand is a special place that’s full of incredible sights and places to explore and, if you love the outdoors like we do, a never-ending adventure. Snow capped mountains, glaciers close to the sea, picture-perfect lakes, countless hiking trails, sweeping vistas, and unique wildlife. Pure nature. 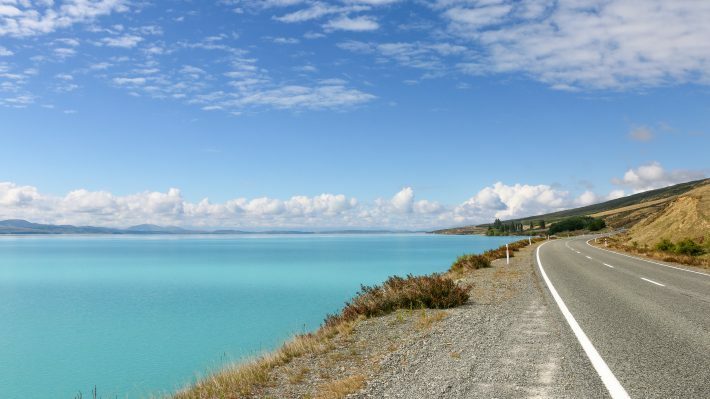 Let’s go through 13 of our favorite places in New Zealand’s South Island. Abel Tasman National Park is the smallest of the National Parks in New Zealand and it feels like a world away from the other ones. 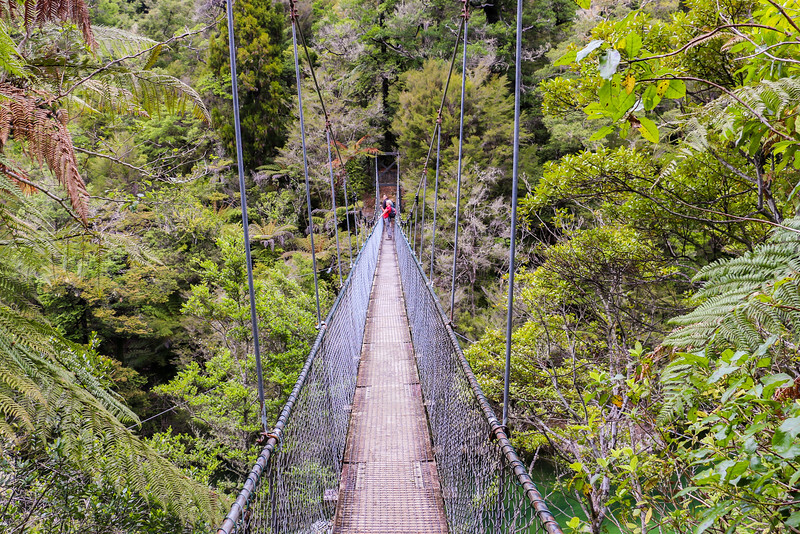 Golden beaches and thick forest are the main features of the Park which you can explore by walking its famous coastal track (and even use swing bridges like the one in the picture) or by kayaking. 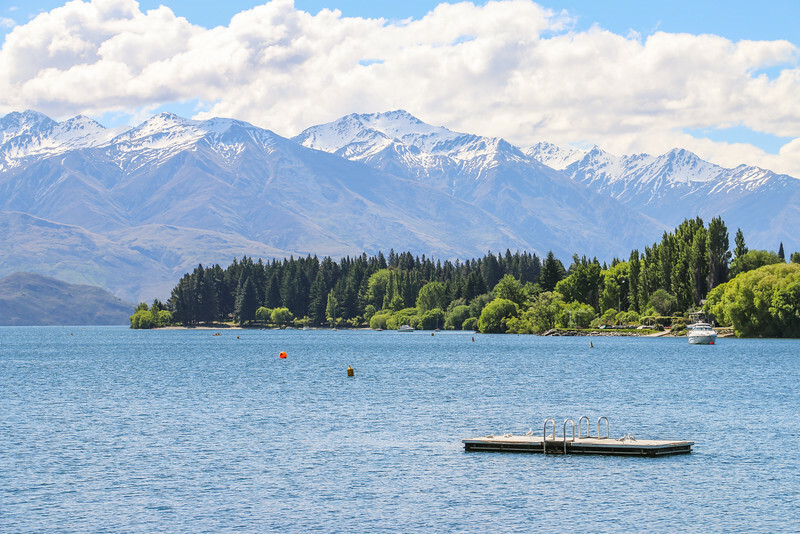 Queenstown is the adventure capital of New Zealand, and possibly the world, as it offers countless activities for adrenaline junkies, such as bungee jumping, skydiving, or jet boating really fast. Don’t worry, all year round you’ll find something interesting to do even if you prefer slightly calmer activities. 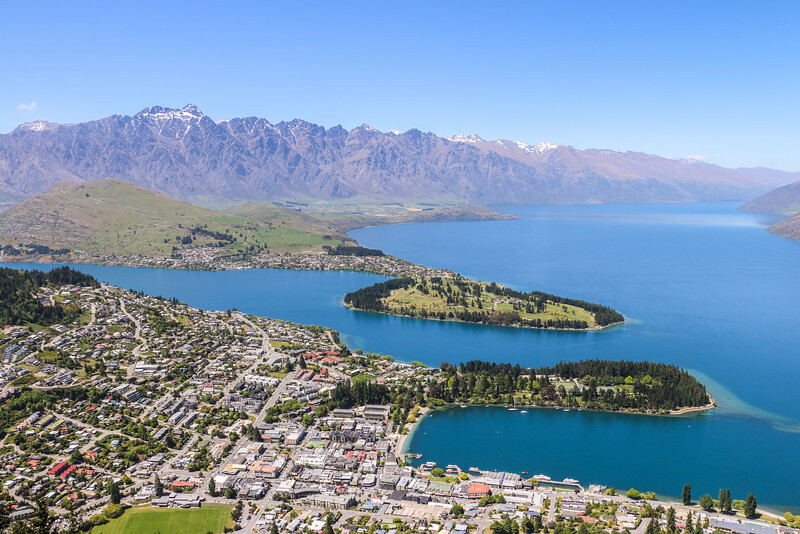 The location of Queenstown is very scenic and a gondola trip to Bob’s Peak is a must-do for amazing views over the town and Lake Wakatipu. The luge track at the top is quite fun! It may baffle a lot of people but New Zealand has glaciers, of which two of the most famous and visited ones are Franz Josef and Fox, both located on the remote west coast of the South Island in an area known as glacier country. Here, the glaciers descend from the Southern Alps to almost sea level. 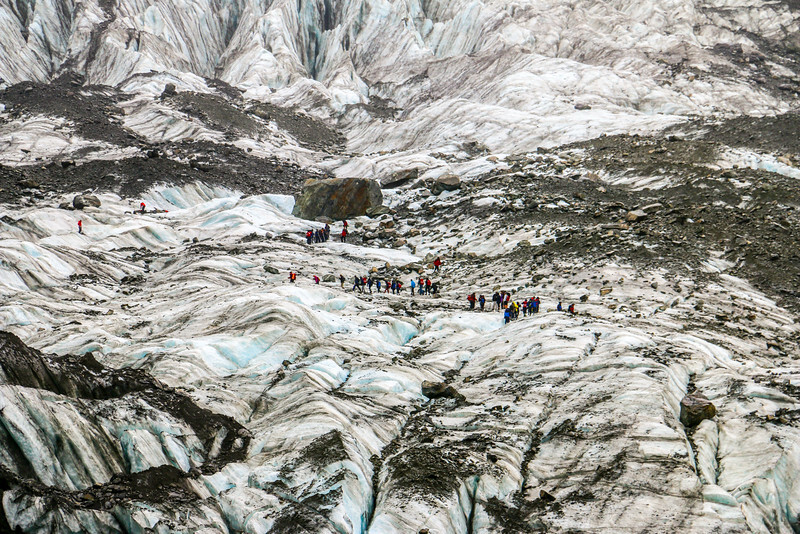 Joining a glacier walking tour is a great and safe way to experience a glacier and something we recommend doing. You’ll learn a lot about them. 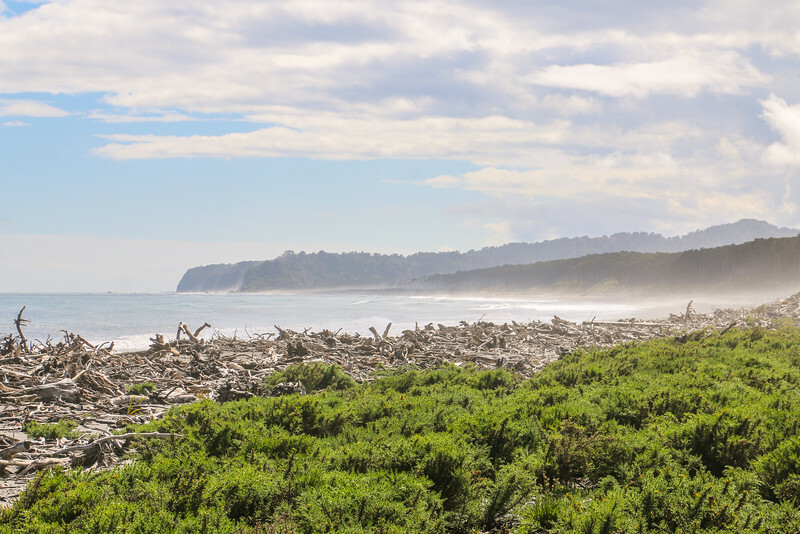 There’s more to the remote west coast of New Zealand, including miles of wild and deserted beaches on the Tasman Sea. Stopping at some of these beaches is a good idea as they offer a nice place to relax and some short hiking trails amongst rainforests and swamps. This area is also good for birdwatching! Pancakes anyone? 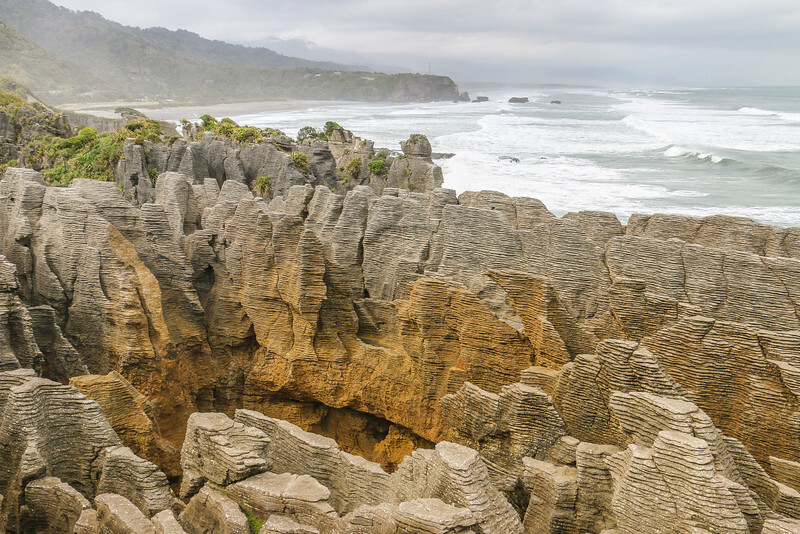 The Punakaiki rocks and blowholes are quite famous due to the pancake shape of the stacked limestone rocks. It’s quick and easy to visit the area by using a short trail that loops through it. Not to be missed. Even from afar like in this picture, Mount Aspiring National Park boasts impressive landscapes. It is known for top-notch hiking trails, waterfalls and plenty of other outdoor and nature features. 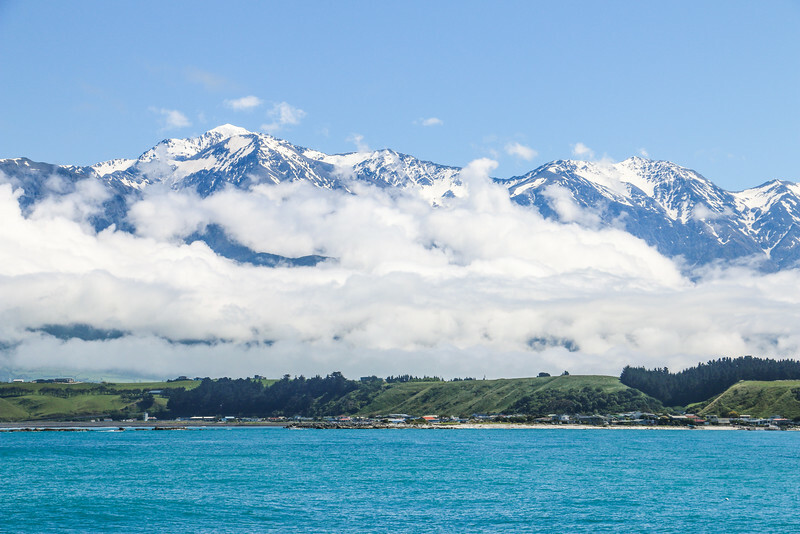 Kaikoura is a small coastal town and New Zealand’s best place for whale watching and other animal encounters such as seals and dolphins. The views from a boat facing the town and the mountains in the background are truly beautiful. The region was recently hit by a big earthquake that caused serious damage. As soon as it’s possible, Kaikoura will need all the visitors it can get in order to recover fully. With lakes and reflections for all tastes, the South Island is a joy for the eye. 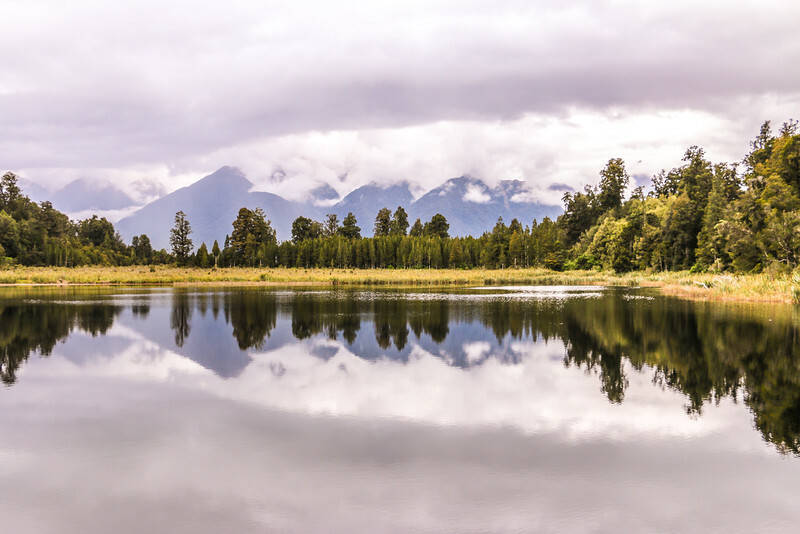 There are countless lakes to visit and photograph, and among our favorites are Lake Matheson, Lake Mapourika, Lake Wanaka, and Lake Pukaki. It’s hard not to include them all. Milford Sound almost needs no introduction since it’s probably the most famous place in the South Island. 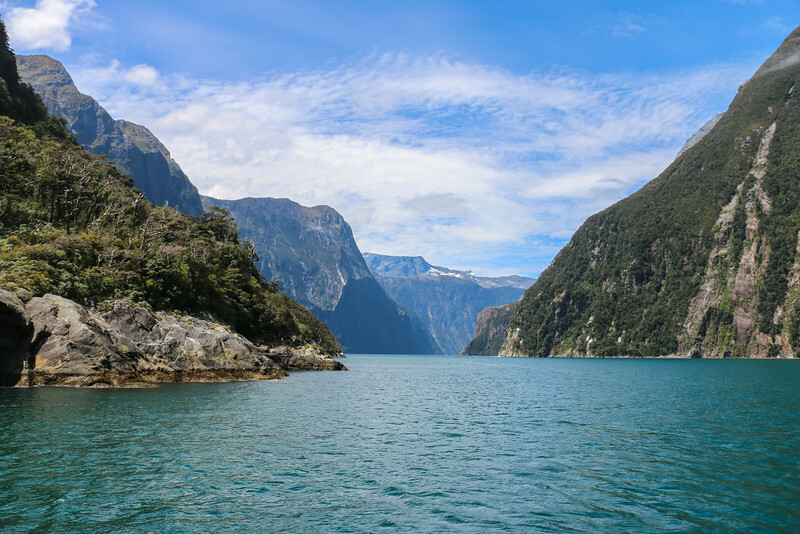 This fjord, which is part of the Fiordland National Park and a UNESCO World Heritage Site, is beyond beautiful. The views are unforgettable and a cruise here, even a short one, is mandatory. If you’re feeling more adventurous, join a kayaking tour (video!) for a more intimate experience. This way you’ll get a better feeling on how steep the peaks are from the water level. Yes, they’re everywhere! 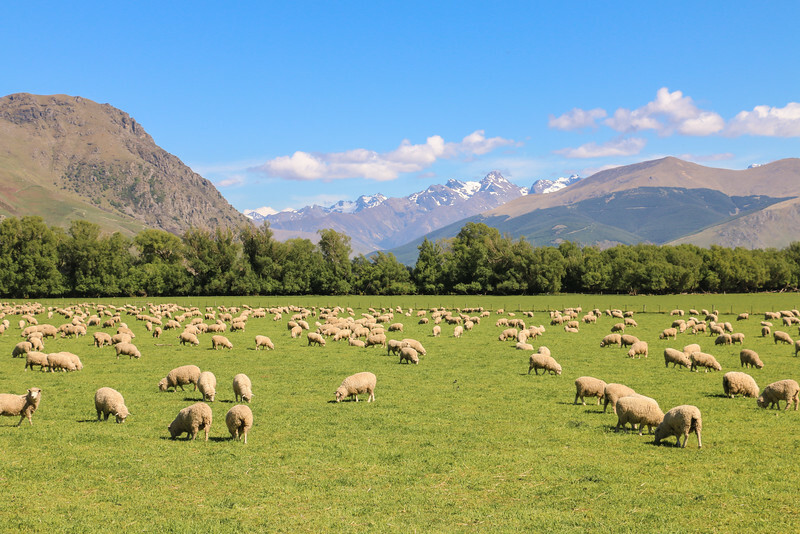 New Zealand is home to a lot more sheep than people and you’ll see them grazing the pastures throughout the country. Plus, they make for the perfect subject in any landscape photo. 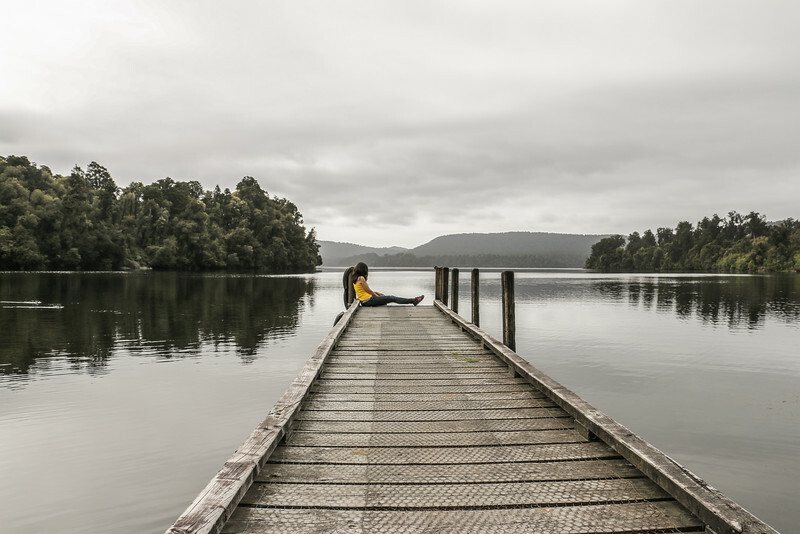 Located in the southeast of the South Island, the Catlins are probably the most off the beaten path place in this article despite having some unique and interesting places to visit. 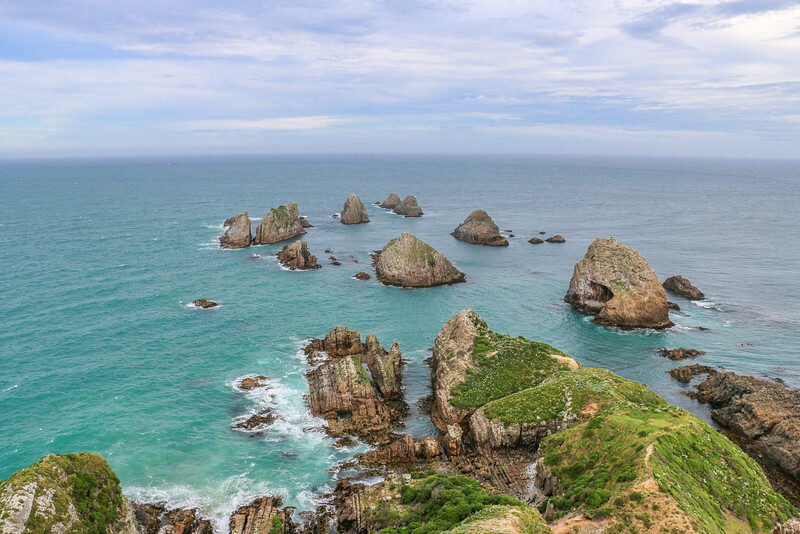 Highlights include Nugget Point, Cathedral Caves, Purakaunui Falls, and the fossilized forest at Curio Bay. Don’t forget to check out the wildlife. Seals and the rare yellow-eyed penguins can be seen in the region. 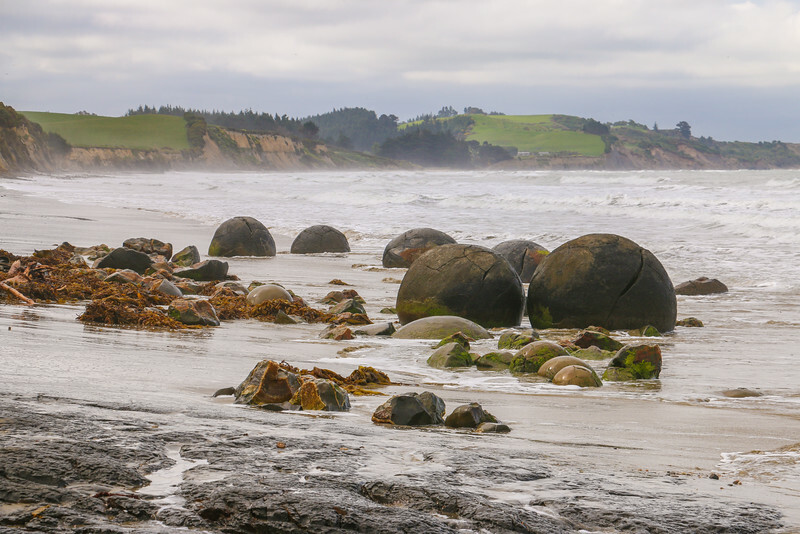 The Moeraki boulders are another unusual rock formation to be visited in the South Island. These large and perfectly spherical boulders come in different sizes and are quite popular among visitors. Very intriguing to say the least! Aoraki Mount Cook National Park is where you can find New Zealand’s highest mountain (with the same name) at around 3700 m, the training ground for Edmund Hillary, the first man to reach the summit of Mount Everest. The small village in the heart of the park is the perfect starting point to explore the many hiking trails that surround it. An activity we enjoyed was a boat tour on the Tasman lake, an outlet of the Tasman glacier where you can get up close to icebergs. 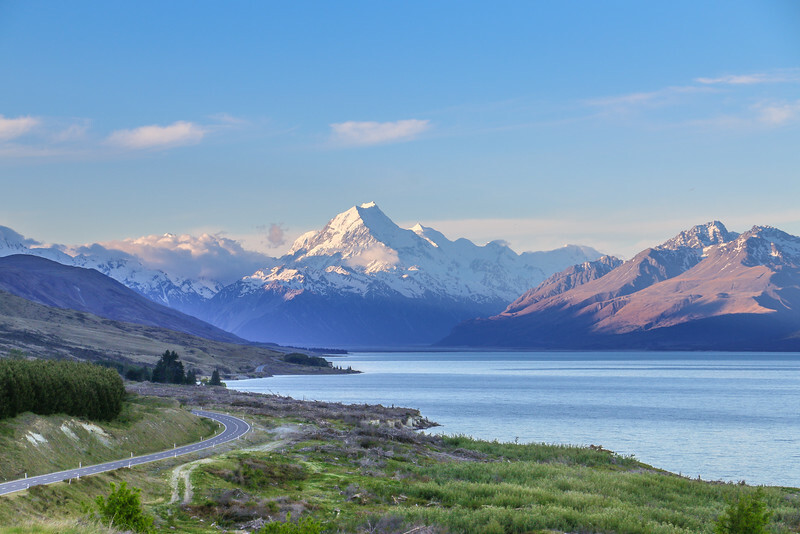 Are you planning to visit or have been to New Zealand? What are your favorite places? Let us know in the comments. I’m visiting in 5 days time! Very excited. Stunning photos guys! I visited New Zealand a few years ago and your photos brought back a flood of memories. The country really is that beautiful! Milford Sound, Abel Tasman, and Mount Cook were among our highlights. As far as the cities, Wellington was our favorite. Thank you, Heather! It’s hard not to think about New Zealand once you’ve been there. It’s such a gorgeous country! Your post is like a collection of amazing postcards! Such beautiful scenery! I’ve never been to New Zealand but love to go there one day. There are so many places worth seeing, it’s hard to pick one. I have the idea that is a rather expensive destination. Did you find it pricey? It’s a wonderful destination! Highly recommended. It’s a bit expensive and also quite far from Europe which makes it difficult to visit. Totally worth it! The South Island is my fave part of New Zealand – such beautiful contrasts with glaciers, mountains, oceans, waterfalls and wonderful animals. I didn’t see the Moeraki Boulders though, they look amazing. 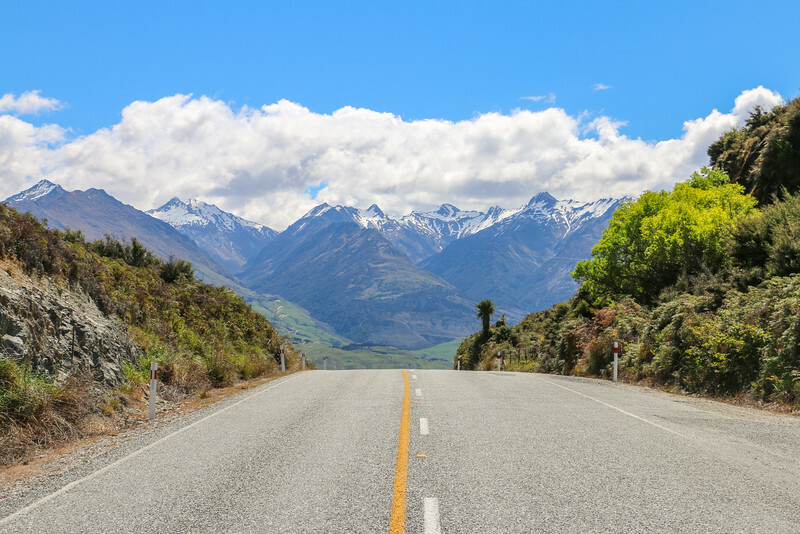 Great post – you have captured the best that the South Island has to offer, in my opinion. The Caitlins and Milford Sound are especially beautiful. Did you manage to see any yellow eyed penguins while you were in the area? We saw one in the wild, but from very far away. It’s beyond stunning! Thank you for sharing. Ah beautiful photos! As a New Zealander I haven’t actually explored half of these places (embarrassing I know!) I am from the North Island and I think you don’t often explore enough of your own country. You have just motivated me to explore more of the South! Thanks! We all suffer the same problem when it comes to our own countries. 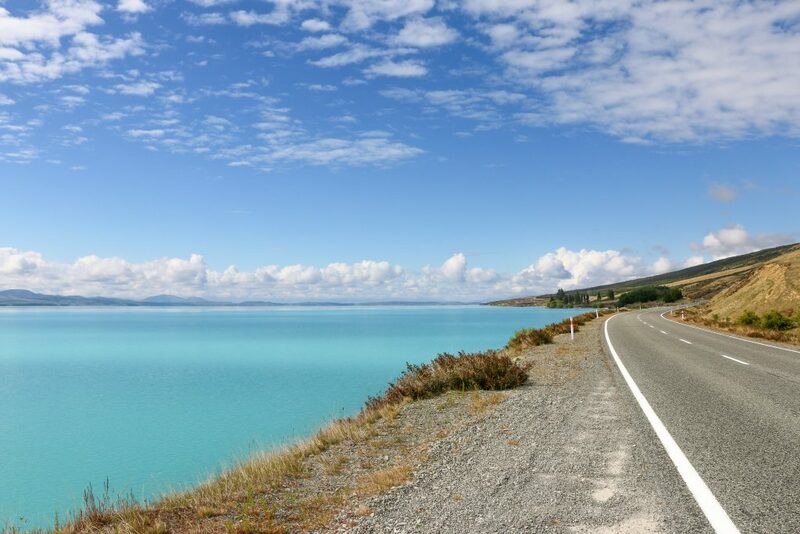 I just started with Work & Travel here in New Zealand and all the places you mentioned are on my list what I want to see, hopefully I will have enough time to do so. Badly I will not have much time for the north island, when my plans work out the way I want them to work.